Stop By and Get Supplied! 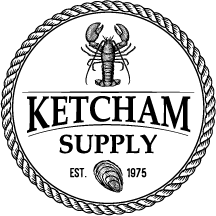 Ketcham Supply is the complete source for marine traps, aquaculture supplies, and commercial fishing gear. Started in 1975 by Bob Ketcham, we began the manufacture of the first wire mesh trap – the Ketcham Trap – that has become the de facto standard for lobstermen everywhere. With a spirit of innovation, and our kinship with folks living off the sea, we’ve grown to a full-service supplier for the marine market. Our store and factory are located in historic New Bedford, MA, just off I195. For your GPS, use 100 Penniman Street, New Bedford MA 02740. Our office and store are located in the school house building.